Collaborative consumption facilitated by peer-to-peer platforms has witnessed a rapid expansion in the areas of hospitality and tourism. However, it is very unevenly distributed across countries, regions, cities and neighborhoods. The aim of this article is to investigate why collaborative consumption takes off early and continues flourishing in some regions, while remaining almost non-existent in other regions. 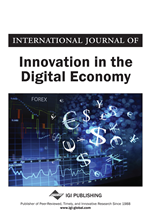 The extant literature provides some insights into the effect of demand-side factors on sharing economy. However, this literature largely neglects the role of supply. Informed by the innovation adaption literature, the present study seeks to address this gap. The analysis reveals that regions with a) well-developed tourism industry, b) relatively large number of available properties, and c) situated near the main tourist attractions, tend to have relatively large supply of Airbnb listings and relatively many Airbnb tourists. An early adoption of Airbnb services is also associated with availability of properties to rent out. But despite its tremendous growth, the Tourism industry has lacked that innovative energy that has been present in other industries (Camisón & Monfort-Mir, 2012; Miles, 2008). Yet, despite the lack of this energy, it has not been immune to innovations coming from other industries. For example, innovations in other areas such as Information and Communication Industry (ICT) along with novel business models are impacting the Tourism industry in an unprecedented way. One of the main disruptive innovations has been the advent of the platform Business Model (PBM). Platforms create value by facilitating exchanges between producers and consumers, using the Information and Communication Technologies (ICTs). Platforms have become successful because they bring consumers and producers together at very low costs, provide reputation system to facilitate trust and finally use the network effect to rapidly increase the size of the market. Airbnb is one of the companies that uses the platform business model. Its chosen industry, the short-term letting industry such as hotels, motels, and even normal housing letting companies have come under pressure from the Airbnb and the like. In the recent years Airbnb has emerges as one of the most successful platform-based letting companies. In a few short years it has expanded to 191 countries and 81,000 cities. At the writing of this paper, Airbnb, with 5,000,000 listings has the largest number of rooms to let on its books surpassing Marriot Hotel with its 1,158,107 rooms (Airbnb, 2016). Airbnb’s expansion has of course not been evenly distributed across the map. Some places have more Airbnb presence than others. Statistics show that all traditional tourist attraction places such as Florence, Venice, Paris, London, etc., show sizable Airbnb presence. The appearance of Airbnb in these places is not surprising since tourists are already coming to these locations and Airbnb can take advantages of price differentials (with hotels and motels) to capture some of the market. However, what is not quite clear is why Airbnb spread to regions that have not been traditional tourist destination places? What explains the spread of Airbnb to areas that have never been tourist destinations? Is the simple presence of Airbnb, brings tourism to these regions or is there something else, and Airbnb just moves in after the tourists? These are some of the questions that this paper will try to answer. Norway is the country under examination.